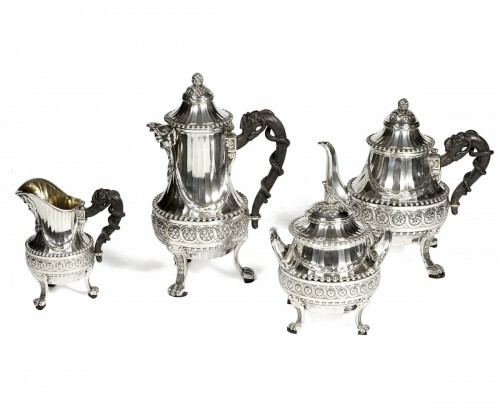 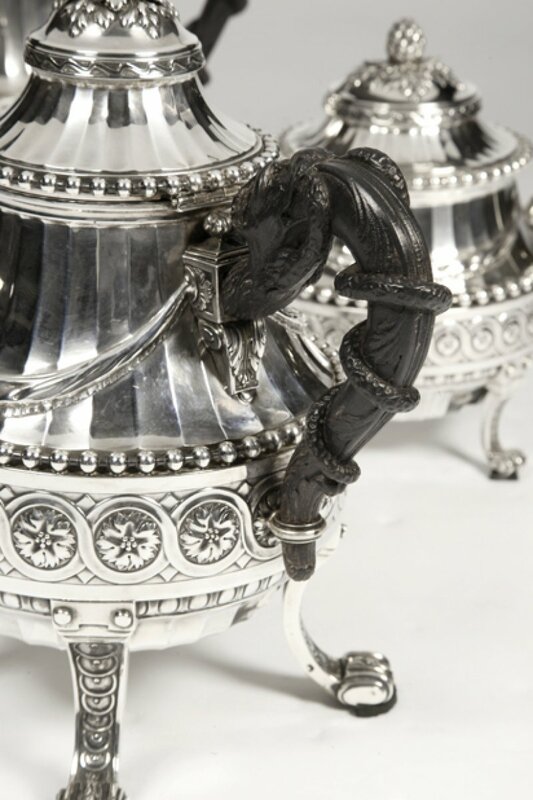 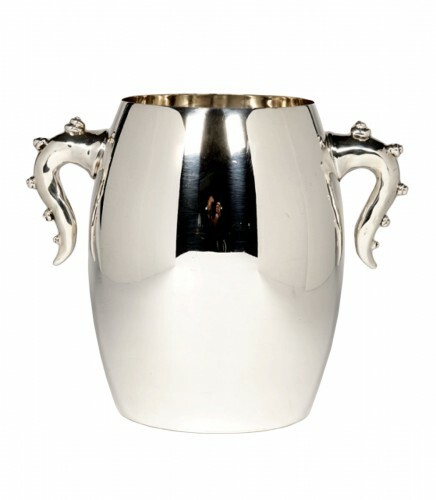 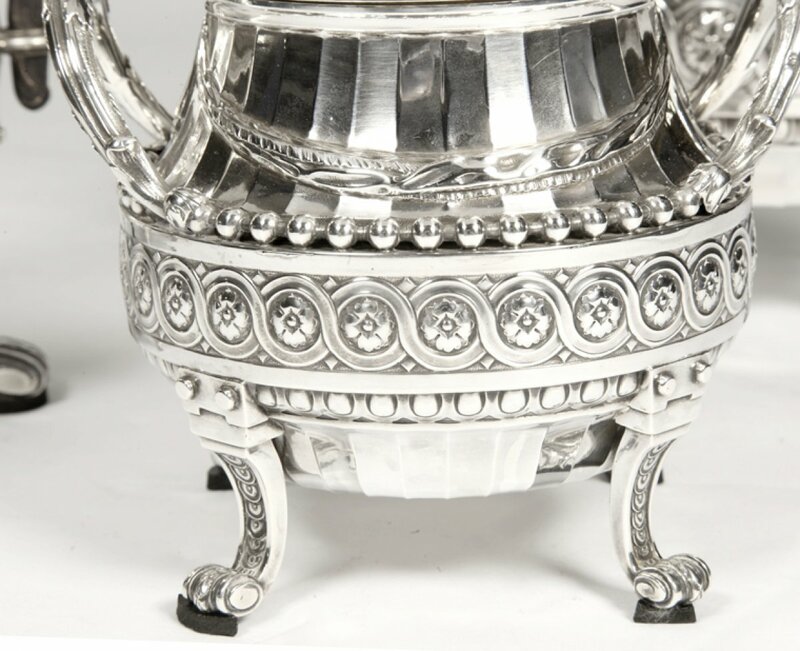 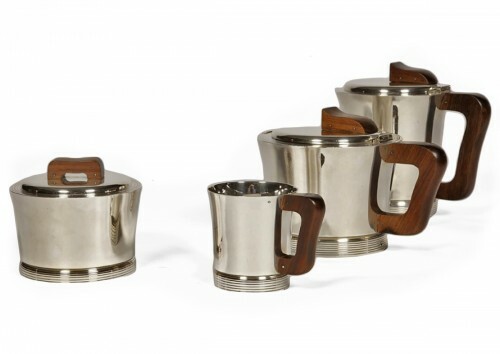 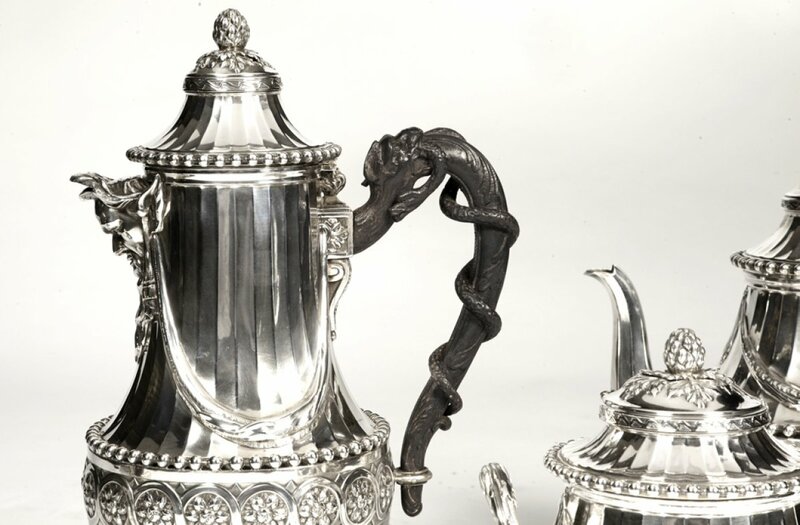 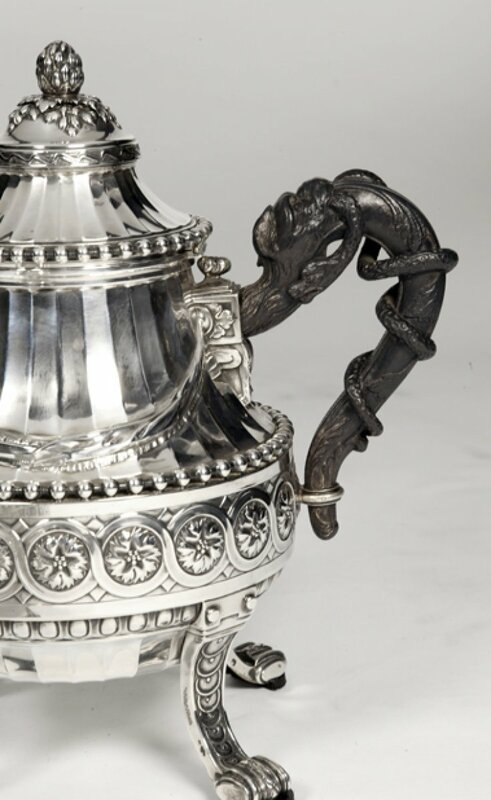 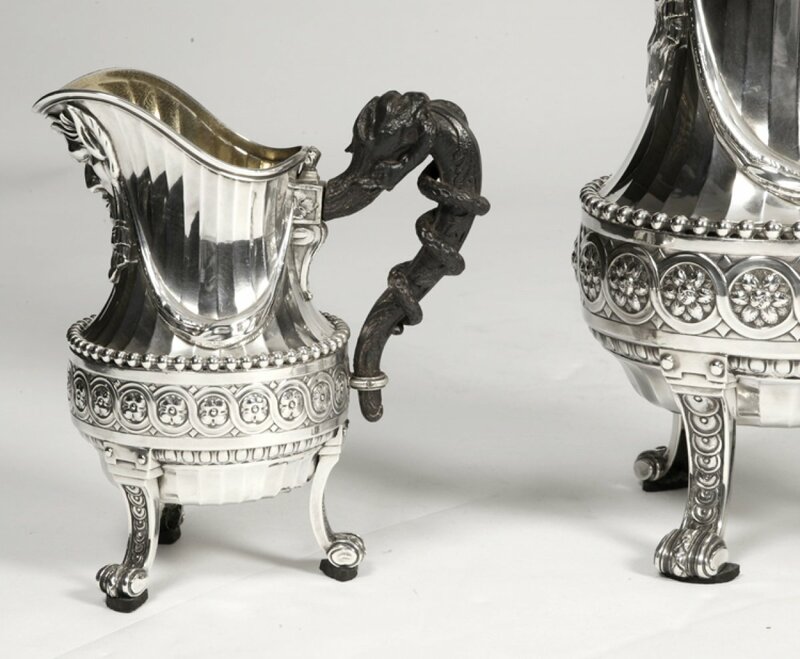 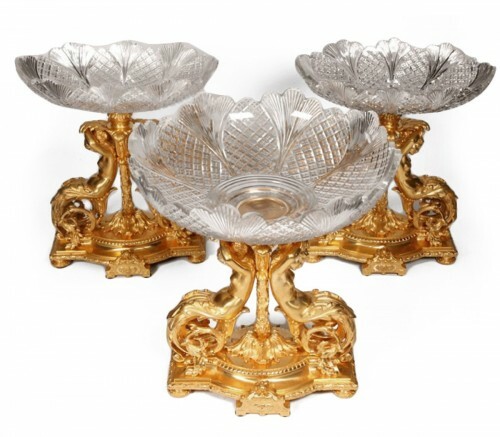 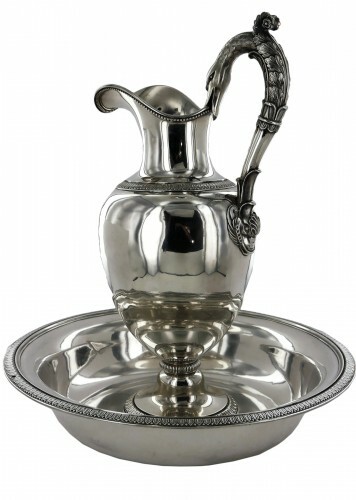 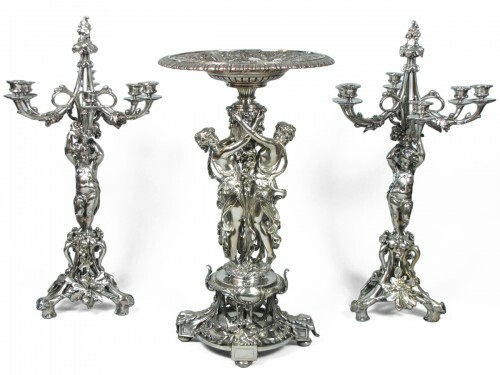 Tea and coffee set made of silver including a teapot, a coffee pot, a milk pot and a covered sugar bowl resting on volute feet, the belly belted oves and a flower race lined with pearls. 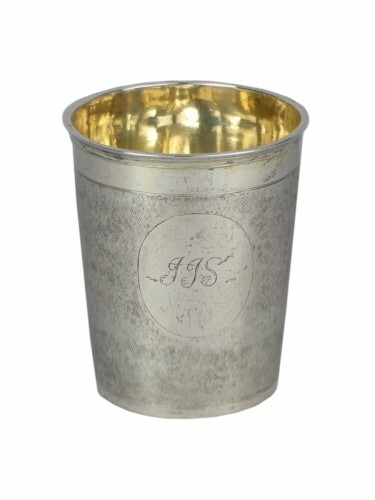 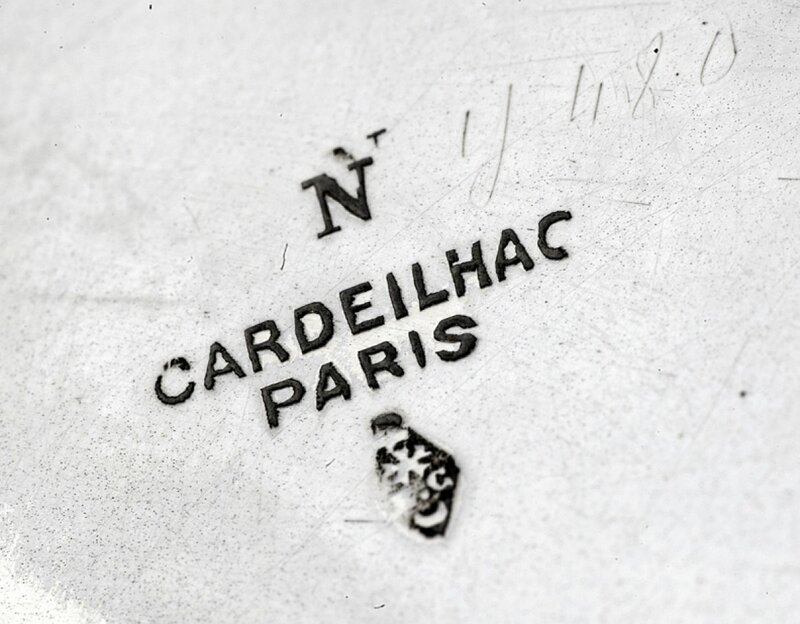 The collar is applied with a drape, the beak underlined by a head of pan engraved and carved in high relief. 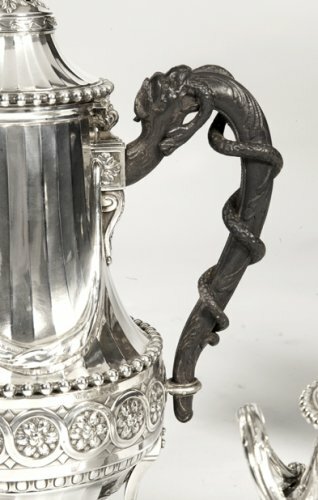 The handle is made of precious wood carved from a chimera and a snake. 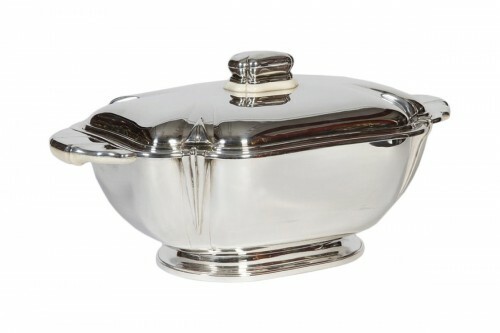 The shape of artichoke.